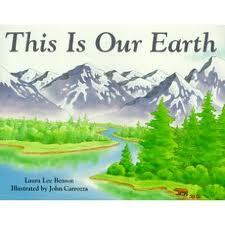 There are so many great books that have been published for children regarding the care of our earth. It’s actually pretty exciting to see this topic covered so well. I’ve narrowed down a few of my top picks and hope that you will check them out with your young readers. The town is being buried in trash. Careless citizens are throwing gum and soda bottles on the ground. One tidy man realizes he has the power to get rid of the trash and teaches the town a lesson. 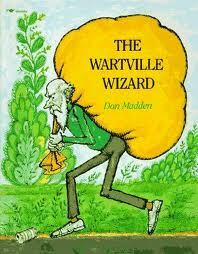 This is such a fun and silly book packed with a powerful environmental message. This story explains how our earth has changed over time. Islands, glaciers, volcanoes, coral reefs, forests, and caves are all explored in this simple introduction book. 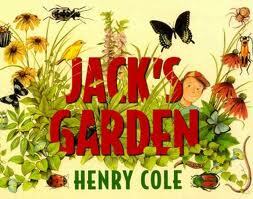 In the garden that Jack built you will see and meet lots of plants and animals. Over the course of this cumulative book, you will watch his garden bloom. This is an excellent book for building vocabulary. 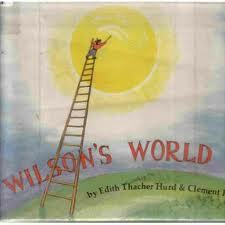 Wilson sets out to paint a picture and create a story that he titles, “THIS IS WILSON”S WORLD”. As Wilson adds more and more to his picture he realizes that his “world” is quickly becoming polluted and crowded. So, he takes out a clean piece of paper and begins to create a world that he really wants to be a part of. He creates a world where everyone takes care of the environment. 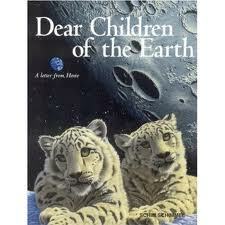 This is a letter that Mother Earth writes to the world about the importance of respecting the planet. Schimmel’s acrylic paintings are a beautiful accompaniment to the poignant text. A vacant lot sits in the middle of a city block. A young girl has an idea to turn the run-down lot into a green space. The story blossoms into a whole neighborhood coming together to create this beautiful space. At the end of this book are tips to starting your own community garden. I like this book so much that I’m giving one hardbound copy of the book away to a lucky Growing Book by Book reader. 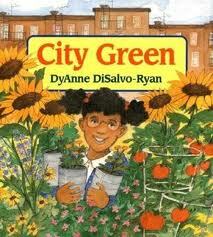 You have multiple chances to win a hardbound copy of City Green by DyAnne DiSalvo-Ryan. 2. Like Growing Book by Book on Facebook. Simply use the button in the right hand tool bar THEN, leave another comment saying that you liked Growing Book by Book on Facebook. 3. Become an email follower. You can find a spot in the right hand tool bar to fill out your email address to become a follower. Make sure to leave a comment that you became a follower. 4. Become a Pinterest follower. Click the Pinterest button on the right and then click on follow once you get to Pinterest. Be sure to leave a comment on this post telling me you became a Pinterest follower. There you go! Four ways to win! Entries will be accepted until 4/22/12 (Earth Day!) at 9:00pm (CST). The lucky giveaway winner will be randomly selected the week of 4/23/12 and announced on this site. I will contact the winner via email. I can ship to USA addresses only. Good luck! Be sure to check my linky party page to see where I’ve linked up to this week. What a lovely post and I have not read any of the wonderful books you shared. Dear Children of the Earth, I may have seen. But each was unique and offered a variety of perspectives. City Green is a great book to get kids involved, such a great way to teach service too. I’ve reviewed a number of Earth and Arbor Day books this year, and should have held onto at least one for this time period. Enjoyed your post. These were some really great title to recommed. I saw a few favorites but am intrigued by a few more, particulary Dear Children of the Earth. Thank you for sharing. I look forward to reading them to myself and my class! I started following you on Pinterest. What a great list. Thanks for sharing on the Weekly Kid’s Co-op! I just discovered your site and it looks like a great one! I love, love books! I just became and email follower! Can’t wait for the next installment. Great list of books- Wilson’s World is a forgotten treasure I plan to dig out to read to my students tomorrow. You have a new email follower & facebook friend- thanks!